After watching 'My Love from the Star' for the third time (I have stopped. The madness has stopped. 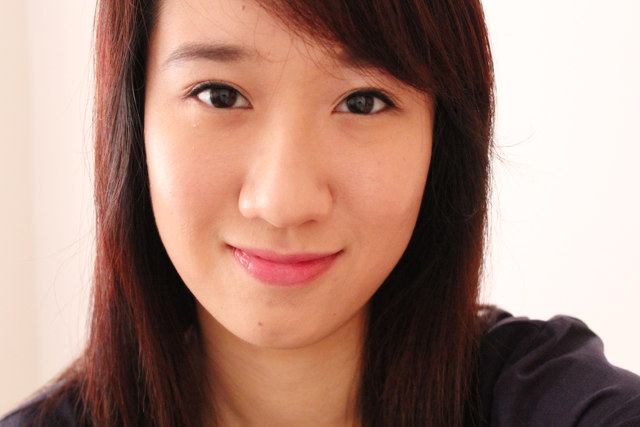 ), of course I had to buy one of the lipsticks that ‎Jun Ji-hyun wore in the drama. And since I'm all 'PINK, PINK, PINK IS MY BFF!' 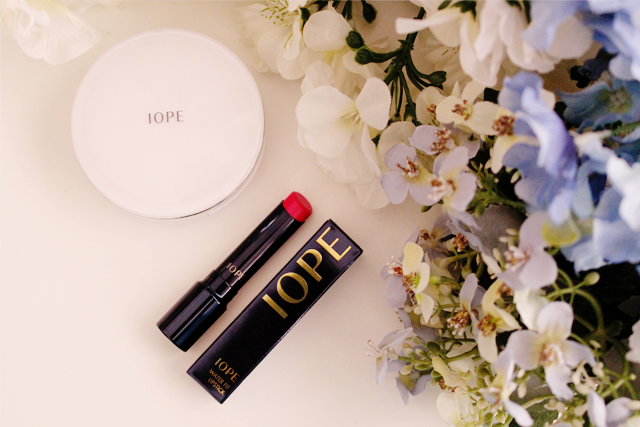 now, I got the IOPE Water Fit Lipstick in #44 Forever Pink. Also, because it was the only one that I could find on a local website. Heh. I also picked up the much-raved IOPE Air Cushion XP in C21. This foundation/ sunscreen sits in an air cushion, and contains Vitamin B5, Vitamin E derivatives and Vitamin P and 30% mineral water to help maintain the moisture levels in our skin. It comes with a sponge and I find that application is best with it. I did try with a makeup brush but the dewy effect of the B.B. cream seemed to be cancelled out. After pressing the sponge against the cushion, I apply in a V-shape (Cheek-chin-cheek.) and then, tap the remaining B.B. 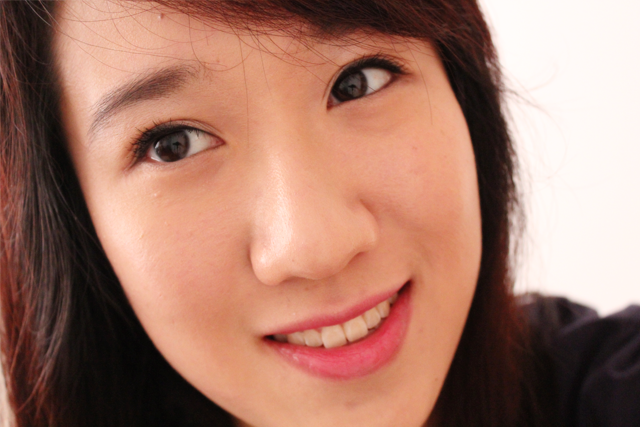 cream into my skin on the inner and outer cheeks (This method is used by some of the Korean makeup artists. It applies less foundation on the inner cheeks, where skin is thinner.). Coverage is on the light side; my freckles peek through a little and if there are blemishes, a concealer is definitely needed. But it completely 'erases' away redness, creating a complexion that's very smooth, flawless and dewy. The foundation strives well in our humid weather but not so in drier conditions; it latches onto drier parts of the skin and becomes pretty splotchy. I really like the dewy finish, how it's so lightweight that I don't feel it and that it comes with SPF50+. And here's the famous Water Fit lipstick that was apparently a 'Rare Candy'. But since I watched the drama after the hype had kinda died down... HEH. 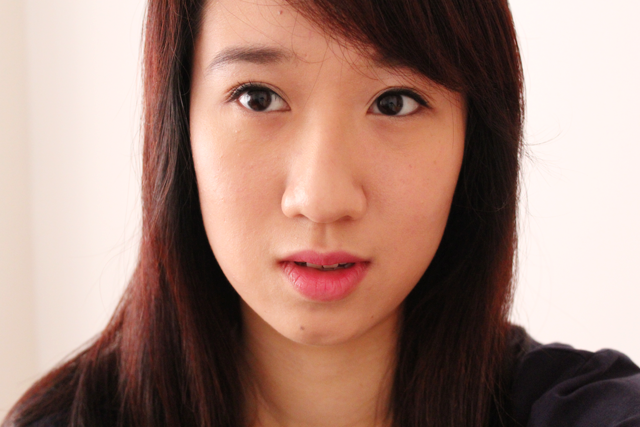 It appears a little redder on my lips than it did for ‎Jun Ji-hyun (And it's like she's my friend or something man. ), but I really like that it's glossy without being sticky. One thing though... It gets a tad drying for me after a while, so I do apply a lip balm first. 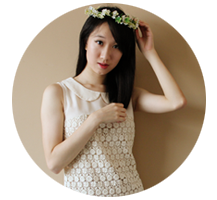 IOPE's Air Cushion XP and Water Fit Lipstick are available on Sunnaz at $53.90 and $35.90 respectively.